Since it is Oreos 100th Birthday, it only seems right that we find some fun Spring treats that utilize America's favorite cookie. I actually have no idea if it is really America's favorite cookie, but it is definitely a favorite in this house. 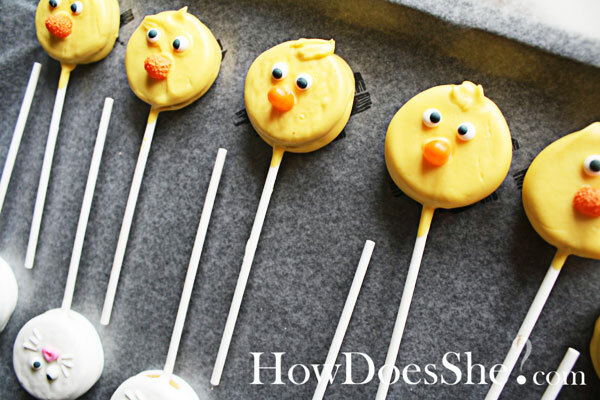 So without further ado, here are three fun Easter Chick treats made with Oreos. 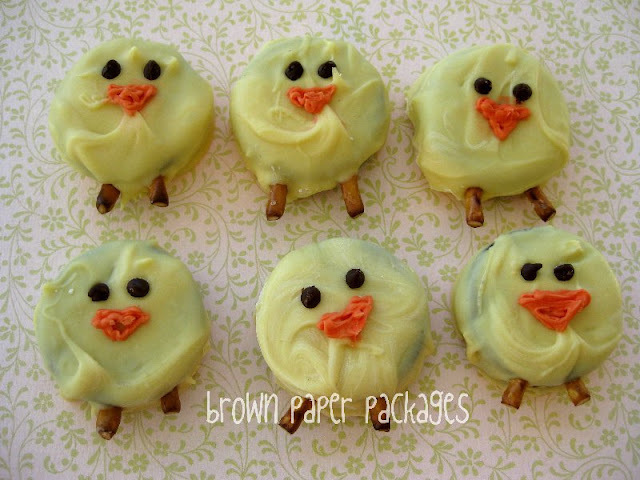 The first are these cute Oreo Chicks from Brown Paper Packages. The pretzel legs are my favorite touch. 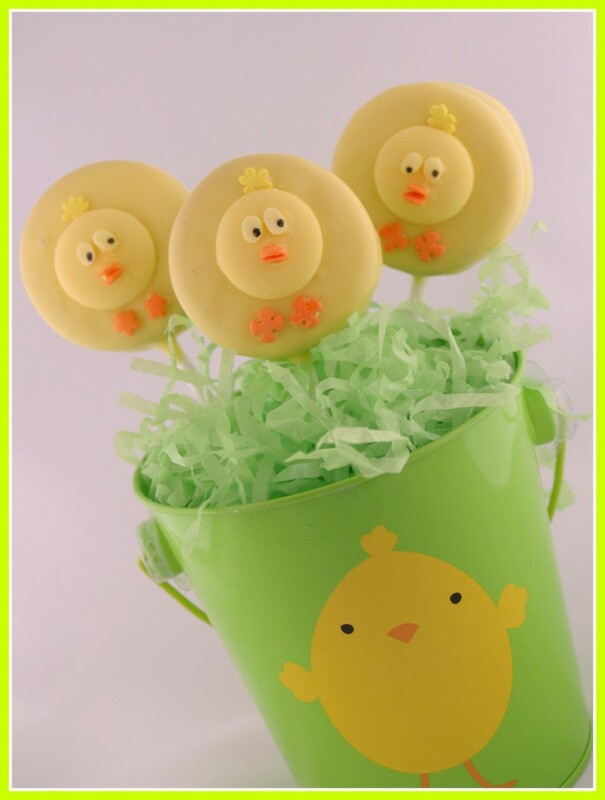 Why not a chick on a stick like these cute Spring Chick Oreo Pops from Blog 5 to 9. And How Does She created fun Easter Oreo Suckers using Golden Oreos. They made some cute bunnies too! These are so cute!!! And I DO love me some Oreos!! !